To start out 2016 we checked in with some Utah artists to see what they are up to in the New Year. We’ll be running these short features throughout the month. Marian Dunn tells us: “Painting has been in my blood for about 80 years,” and we know she exaggerates. Still, the artist and teacher, who works in most mediums except sculpture, says she is never too old to learn and experiment. “My latest have been encaustic, printmaking, and I’m always trying new stuff in acrylic. 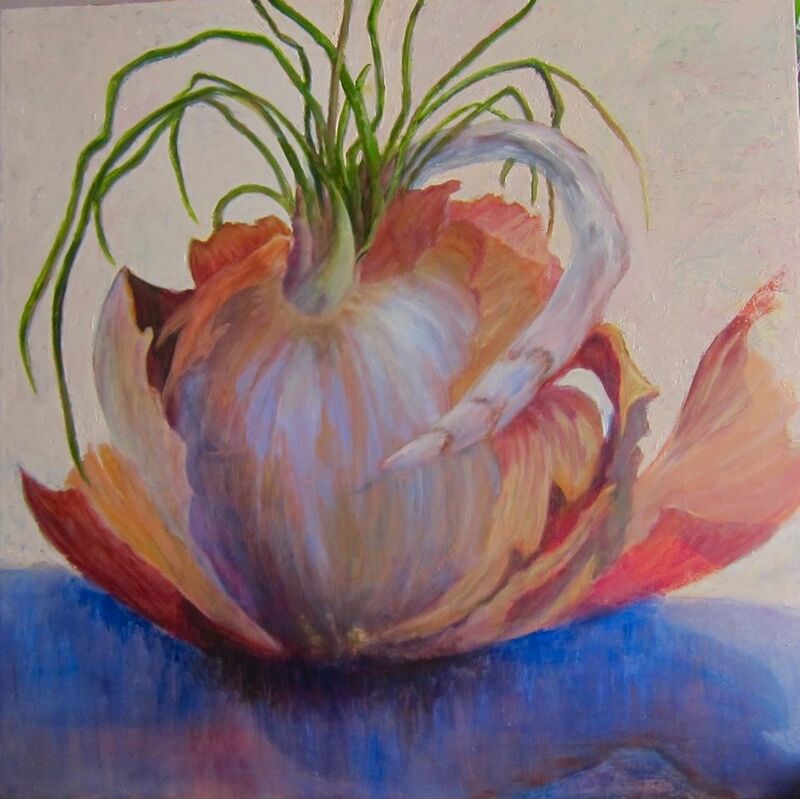 I just finished a 35” x 35” antique onion in oil on canvas. It’s on my Facebook page.” She is just getting used to presenting her work on social media and admits she hasn’t touched her website in at least five years. 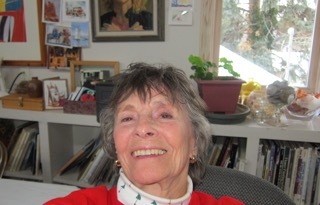 In fact, she took her very first selfie for 15 Bytes (we are, however, publishing her second – it’s vastly better). “Indeed,” she remarks, “life is new experiences.” She teaches watercolor and acrylic in her studio in master classes, “and any and all mediums” in outdoor workshops. “Next fall I am planning to teach at La Romita School of Art in Italy for a two-week workshop,” she says. Love your new Antique Onion painting!! thanks Heidi–I’m surprised how many people see these things–tells me something, right? how wonderful, nice images (both)! what a start to the New Year! Beautiful work! How do you publicize your painting classes? Still discovering at your age. Terrific! So happy you will be sharing your talent in Italy. Keep having fun.